In early February, we joined other members of the Big Tent Coalition to advocate for the important role of outdoor recreation in Washington. 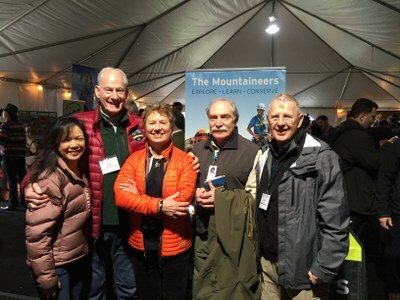 On February 3, we joined other members of Washington’s Big Tent Coalition, as well as lifetime Mountaineers members Jim and Diane Whittaker, under a BIG TENT on the capital grounds in Olymipa to celebrate the outdoor recreation economy in Washignton State. As members of the Big Tent Coalition, we understand the importance our role as recreationists - with our boots-on-the-round perspective - as an economic driver for the state, and we use this perspective to advocate for our public lands. Outdoor Recreation is big business in Washington State - on par with or even exceeding the jobs our state boasts in aerospace and high tech. 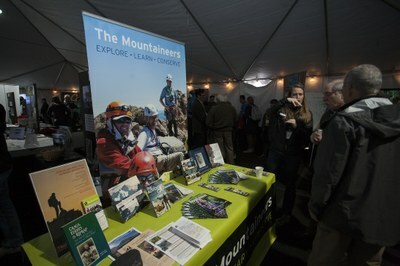 The fourth Annual Rally Day brought together the wide variety of companies and organizations driving outdoor recreation, with inspiring presentations from Governor Inselee, Jim Whittaker, and John Snyder, our State's new Outdoor Recreation and Economic Development Policy Advisor. 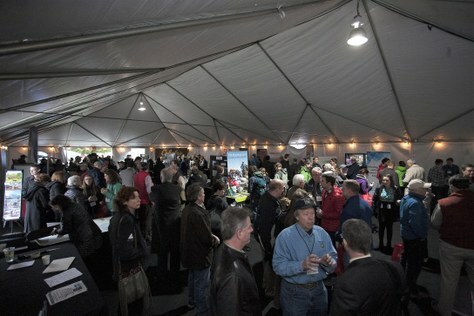 The Big Tent was established September 7, 2012, in our Tacoma Program Center, with 25-30 representatives from outdoor recreation organizations, environmental organizations, and lands and conservancy groups. The Big Tent Coalition is an association of the primary organizations participating in outdoor recreation in Washington State. The 45 organizations involve over 200,000 members, and collectively play a significant role in educating local and state leaders, empowering passionate communities and networking among user groups. The mission of the Big Tent Outdoor Recreation Coalition is to raise awareness of the importance of the outdoor recreation sector to Washington State. Working in close collaboration with elected officials, opinion leaders, and community leaders in Washington State, with local governments, and with the business community and the public, the Big Tent will focus on raising the profile of outdoor recreation and the substantial economic, social, and health benefits that come with doing so. The Big Tent will work to ensure adequate funding and access are in place to support the growing role of outdoor recreation, and to reduce or eliminate barriers that limit the right of Washington citizens, businesses, and visitors to enjoy outdoor recreation amenities. It was a great day full of enthusiasm and conversations about how we can continue to raise the overall profile of the outdoor recreation economy. A special thanks to our Olympia Branch members for being a part of the day and representing our courses and activities!